Prada skirt from Autumn/Winter 2007-8. 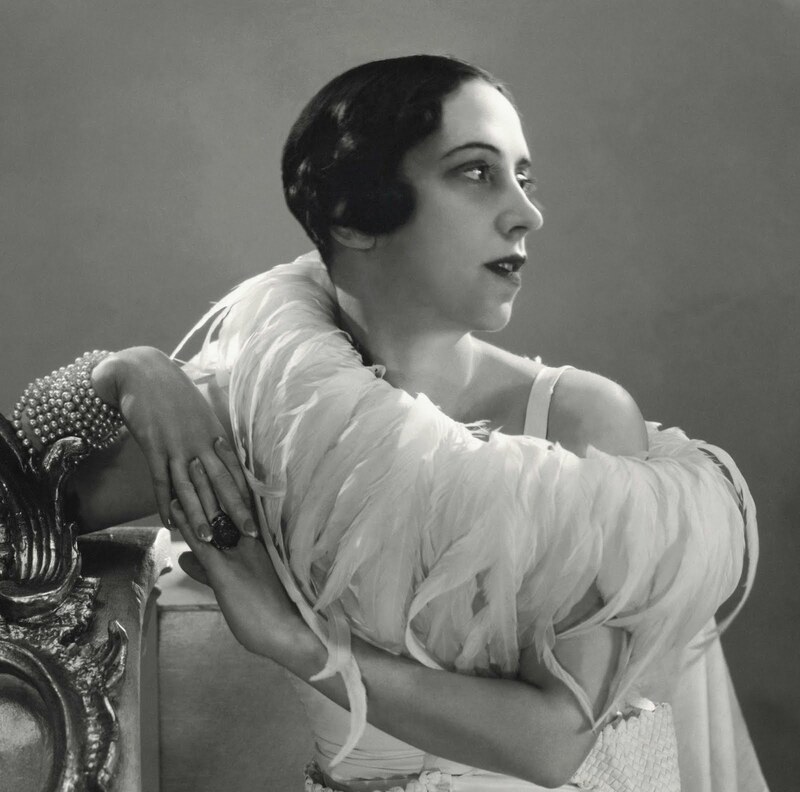 This Sunday, August 19, marks the final day of Schiaparelli and Prada: Impossible Conversations at The Metropolitan Museum of Art. I don’t think the Met has had the crowds this summer they had at last year’s amazing McQueen exhibition, so they are not extending the date on the Schiaparelli and Prada show, as they did last year with McQueen. Detail of skirt of orange silk twill, black wool felt and feathers with orange plastic fringe. 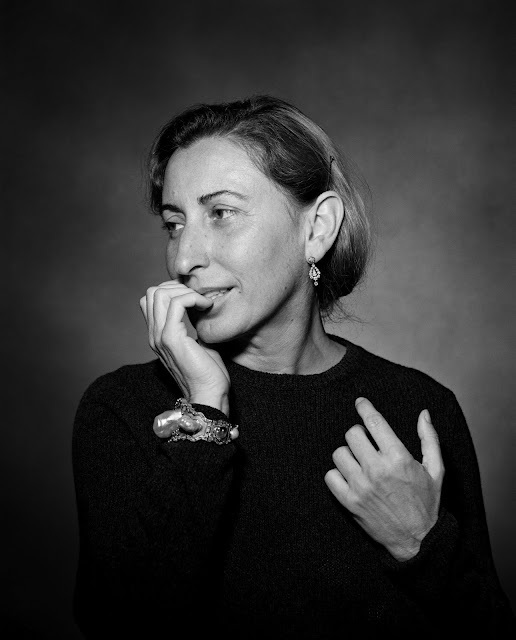 Portrait of Miuccia Prada by Guido Harari, 1999. Portrait of Elsa Schiaparelli by George Hoyningen-Huené, 1932. Schiaparelli cape from Winter 1938-9 of black silk velvet embroidered with image of Apollo. The image of Apollo is in metallic thread, sequins, beads and yellow rhinestones. Love the Elsa photo. I'm with you on the cape...I wouldn't kick it out of my closet. I am mesmerized by the Prada skirt...such fun and, you know, I love orange! It's interesting to read about this rivalry. Love the Balenciaga quote. Wasn't able to catch this exhibit - but heard it was disappointing compared to the McQueen!